After having attended last week's OpenText Enterprise World 2013, I though it would be fun to take a look back at the upgrade path of the various versions of Content Server. Content Server wasn't always "Content Server." It has also been known as "Enterprise Server", or for us old timers, "Livelink". I started with Livelink 3.1.16. The software was delivered on 3.5" 1.4MB floppy disks in 16 and 32-bit flavors. 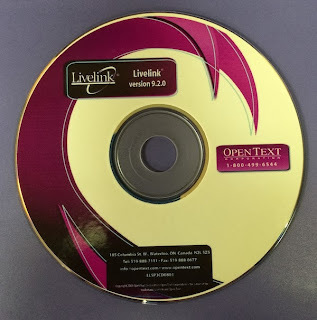 For the next upgrade, Livelink 4.0.1, I made the jump to CD media. Life was good back then - no more floppy disks! 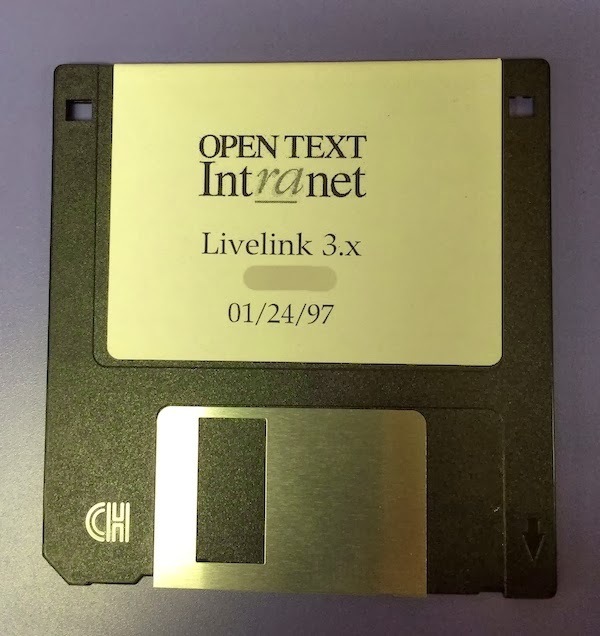 Check out that OpenText logo. 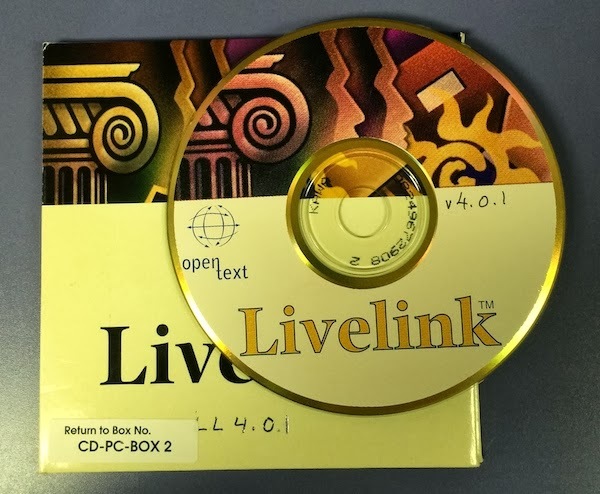 This version of Livelink was pretty heavily customized and we skipped Livelink 5 and 6. For Livelink 7.0.1 I shifted technology platforms from Digital's OpenVMS and Sybase Adaptive Server Enterprise (ASE) to Windows NT Server 4.0 and SQL Server 6.5. For the upgrade to Livelink 7.2, I started pulling out the customizations. Next up as Livelink 8.0.1, 8.0.2, and 8.1.5. 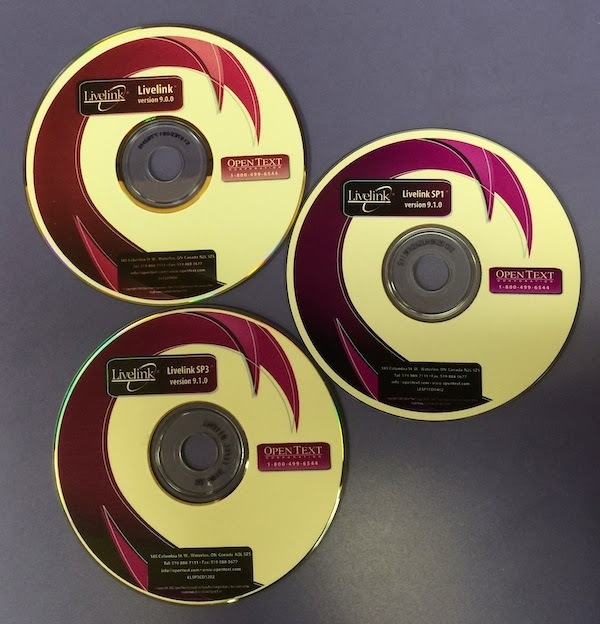 This would be the last media set that would sport the old Odesta "sun" imagery as seen on the right side of the CD media. 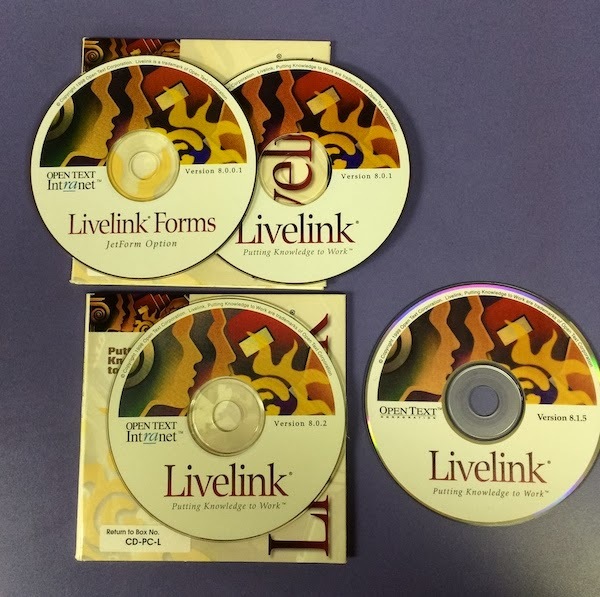 Next up was the Livelink 9-series. Shown here is Livelink 9.0.0, 9.1.0 SP1, and 9.1.0 SP3. Yes, there was something before Livelink 9.7.1! Here's Livelink 9.2.0. Did anyone actually convert to UTF-8 for this release? I tried it and couldn't get it to work with the command line tools. 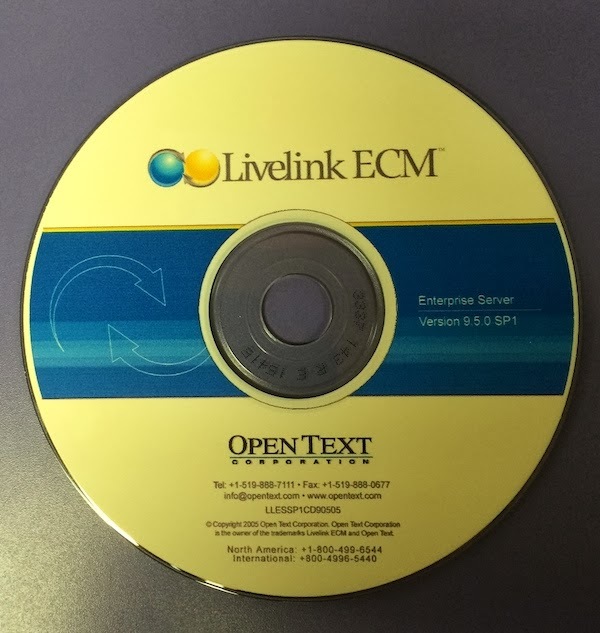 For Livelink 9.5, the name changed to Livelink ECM, or Enterprise Content Management. The logo and corporate imaging also changed. This would be the last physical disc I would receive from OpenText. After Livelink 9.5, it became trendy to call Livelink "Enterprise Server" for the Livelink 9.7.1 release. 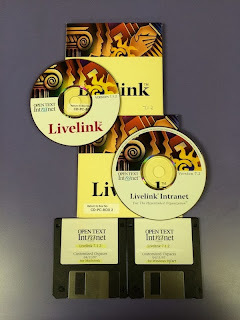 Livelink 9.7.1 was the first all digital release for me, and I downloaded all of the software from the OpenText Knowledge Center. And that UTF-8 conversion? Much easier with the UTF-8 conversion module. With Livelink 9.7.1 installed and patched up, a year later the Records Management modules were installed. A year ago, I completed the upgrade from Livelink 9.7.1 with Livelink Explorer 4.8.6 to Content Server 10.0.0 Update 7 and Enterprise Connect 10.2.1. There were lots of problems with Enterprise Connect, so earlier this year, I upgrade to Content Server 10.0.0 SP2 Update 9 and Enterprise Connect 10.3.0 Patch 1. For 2014 I'm working on the Content Server 10.5.0 and Enterprise Connect 10.5 upgrade and a rollout of ECM Everywhere 10.0.0 for iOS and Android clients. 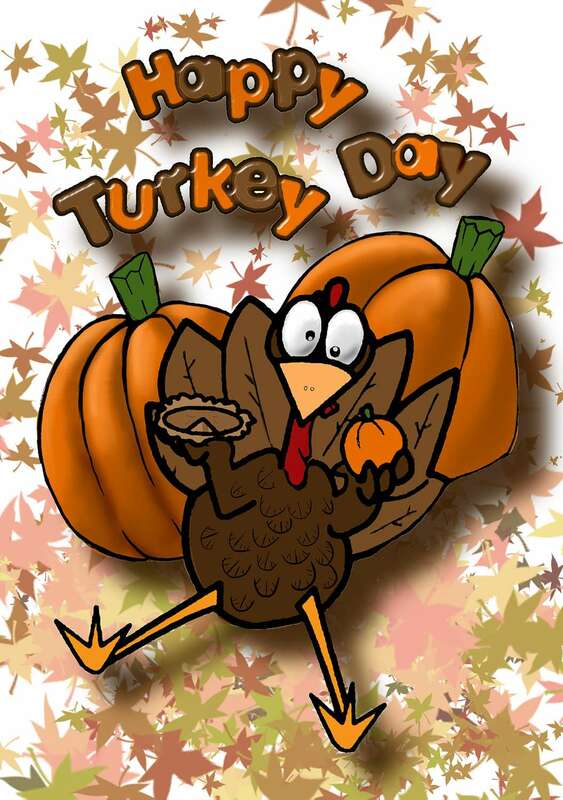 Happy Thanksgiving Everyone from your favorite turkeys at Smartphone Fanatics! Gobble Gobble! Following Tuesday's surprise iPad mini with Retina display launch, Apple released a number of updates for iOS devices, Apple TV, and iWork for iCloud. 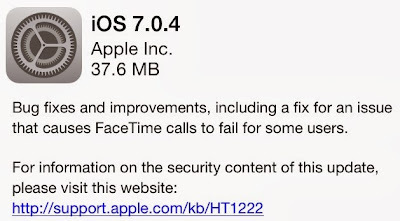 iOS 7.0.4 is a minor maintenance update for all current generation iOS devices that fixes a potential issue with FaceTime calls. The 37MB update also addresses other unspecified bug fixes and improvements. 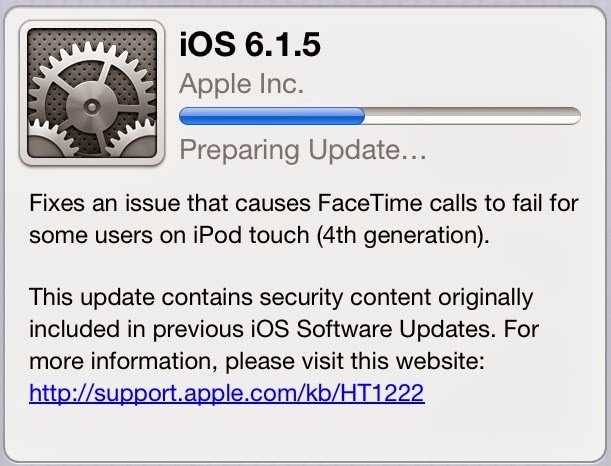 iOS 7.0.4 is available for the iPhone 5S, 5C, 5, 4S, and 4; iPad Air, iPad 4, 3, and 2; iPad mini with Retina and iPad mini. 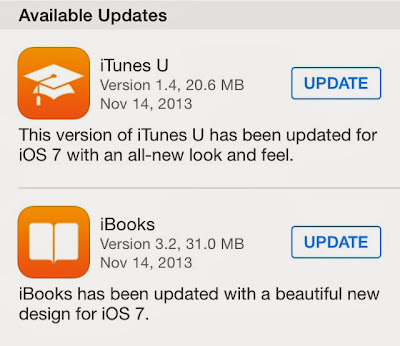 In addition to iOS 7.0.4, iBooks and iTunes U finally received their iOS 7 makeovers. What, what?! The iPod touch 4th generation also go a little bit a love today with the release of iOS 6.1.5. This minor update for the iPod touch which cannot be upgraded to iOS 7, received a similar FaceTime update. 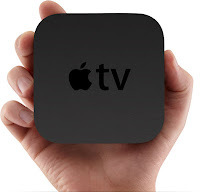 Apple TV also received such a small update that there was no mention of what was fixed. I did not notice any new channels or new features after the update was applied. 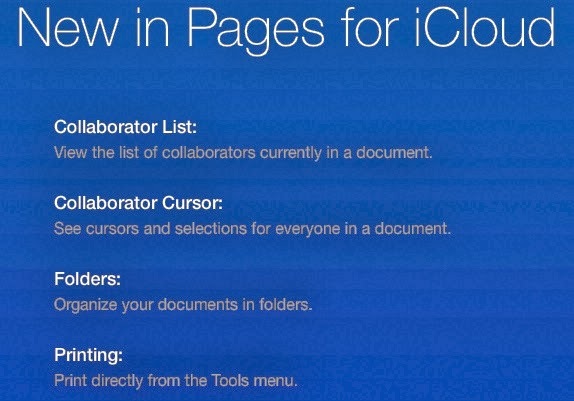 If all of the iOS love wasn't enough for you, iWork for iCloud received some much needed collaboration updates. 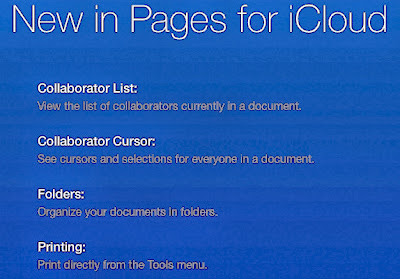 Document editors can now see who else can collaborate on a document and where their cursor is positioned inside the document. 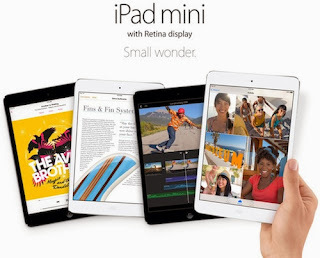 During the October 22 keynote address, Apple CEO Tim Cook said that the new iPad mini with Retina display would be available in late November. It would seem then, that Christmas has come early this year. 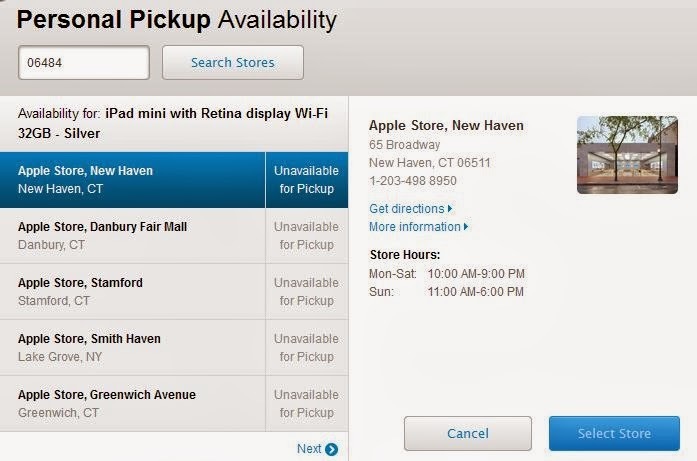 The Retina iPad mini has gone on sale only at Apple's online store and is not yet available at the company's retail locations. Supplies are clearly limited. 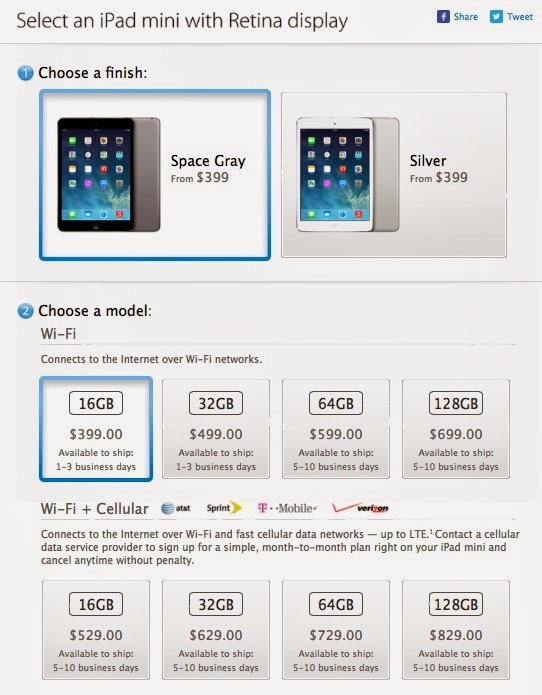 The Space Grey and White/Silver 16GB Wi-Fi only models are available for shipping in 1-3 days. 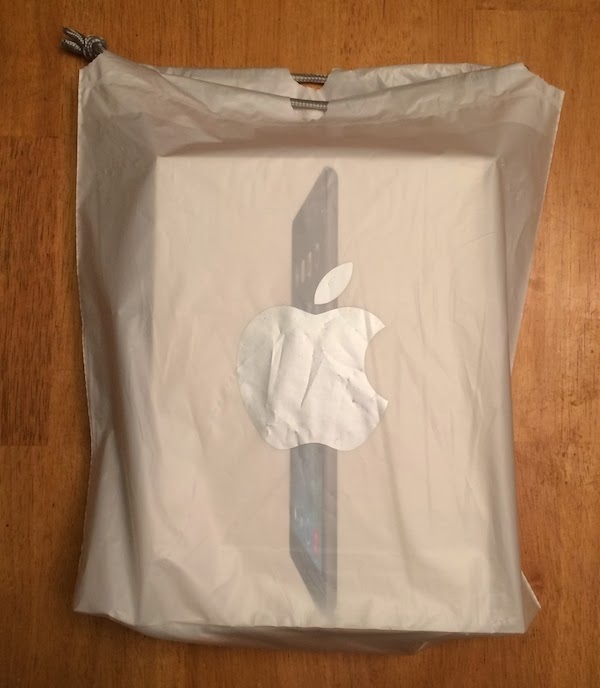 If you want a 64GB, 128GB, or any model with a cellular modem in it, you will be waiting 5-10 business days to get your new iPad. 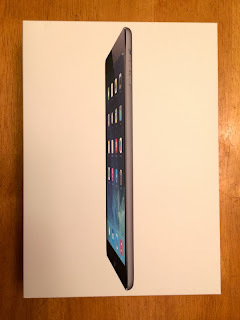 If you are planing on getting one of the new iPad mini with Retina tablets for someone on your Christmas shopping list or for yourself, I would strongly suggest that you click the "Buy Now" soon. 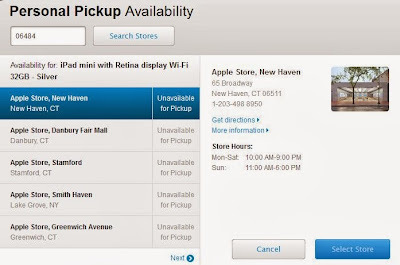 The personal pickup option has gone live for the iPad mini with Retina display at Apple Store locations. Yesterday, Apple released an update for their OS X 10.9 Mavericks Mail and iBooks applications. The update to the Mail application is a welcomed relief to customers who use the Mail appellation with Google's Gmail email service. 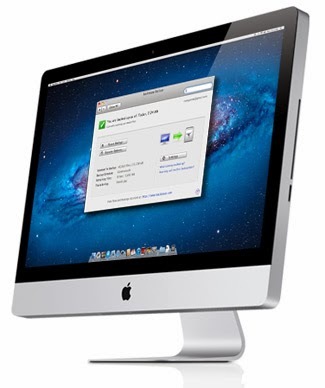 With the introduction of OS X 10.9 Mavericks on Oct. 22, customers have been reporting a number of usability bugs with the Mail application. 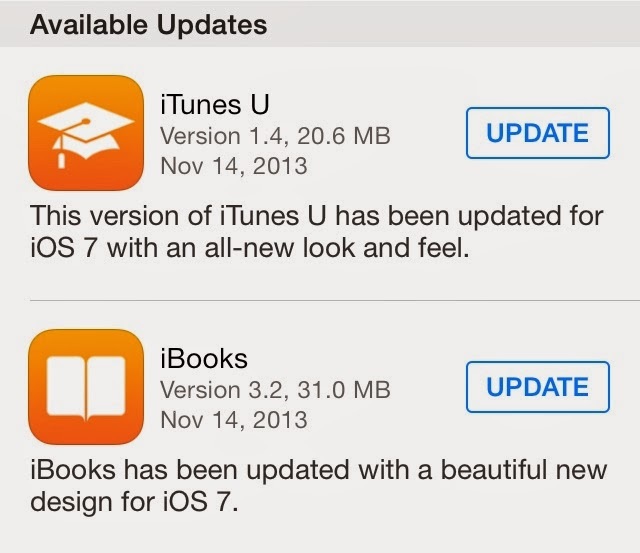 iBooks received a minor update to squash a few bugs an to improve stability. Both updates are available in the Mac OS X App Store's updates section. 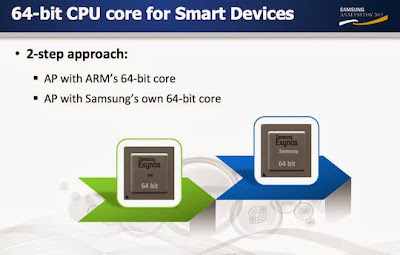 “[Samsung’s mobile business chief Shin Jong-kyun said] that upcoming Samsung Galaxy-branded smartphones will be more powerful and faster by confirming that they would have 64-bit processing capability. Maybe Samsung should use their massive pile of resources to execute on their own ideas rather than trying to rip off Apple’s. 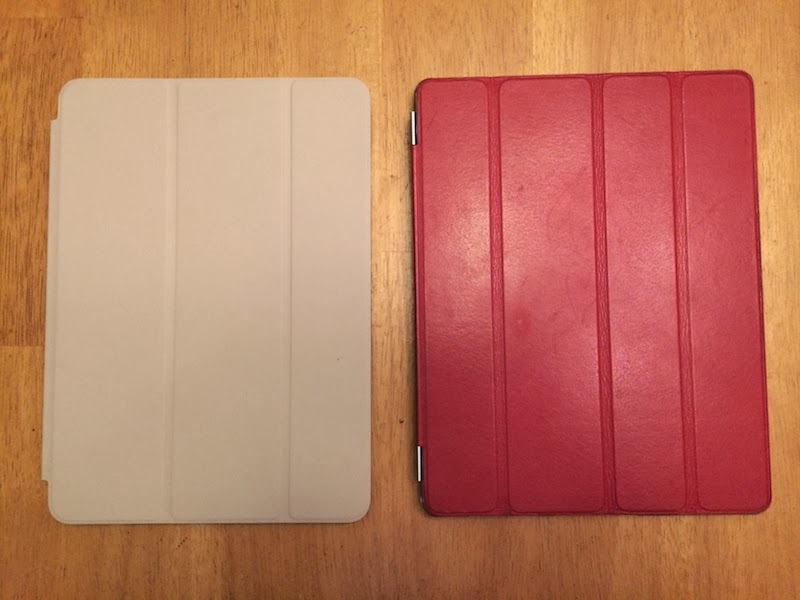 I've been wondering whether Microsoft was simply sitting on Office for iPad, delaying it to give its own Surface tablets a leg up. A year ago, Microsoft's ARM-based Surface RT shipped with Office RT bundled for free, and this October, the ARM-based Surface 2 shipped with Office RT plus Outlook RT, bundled for free. Microsoft is clearly a company in desperate need of a strong corporate leader and visionary. 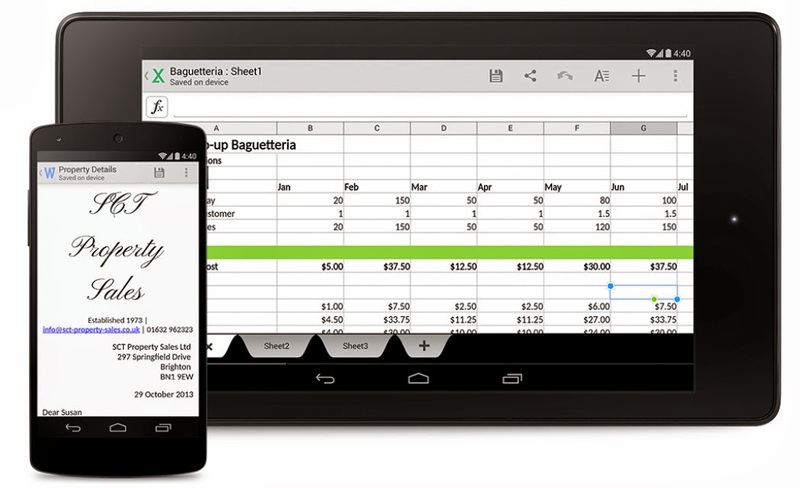 Quickoffice Coming Bundled With KitKat, Trouble for Microsoft Office? Yesterday I was poking around the Google Android website for an updated version of their SDK, and stumbled across the KitKat features page. 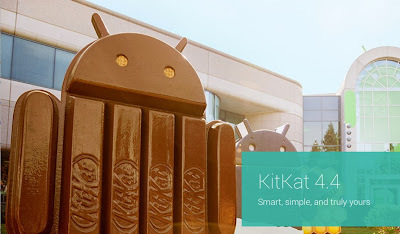 Starting with Android 4.4 KitKat, Google will begin bundling their Quickoffice software into the update. Quickoffice is Google's mobile productivity office suite for the Android operating system. With the current version of Quickoffice, available from the Google Play Store, you can read and edit Microsoft Office documents from your smartphone or table. So the question I have is: With free office productivity suites available for both Google Android and Apple iOS, why is Microsoft waiting to get the real deal Office on to people's devices? Sure there is an Office Mobile application for the iPhone, but you must already have a subscription to Microsoft's Office 365 service to use it. And what about a version optimized for the iPad? If anything, the automatic deployment of Quickoffice to any Android device that receives the 4.4 KitKat upgrade is putting even more pressure on Microsoft to get Office on more devices. In the past, Microsoft's our-platform-or-no-one-elses strategy for Office is really hurting them. As a business customer, I rely on Microsoft's Office suite to get my job done, but on smartphones and tablets, I hardly miss them. And that, I feel, is Microsoft's problem. The inclusion of Quickoffice with KitKat alongside of the free Google Docs web application, Google isn't just going after a mobile productivity suite for mobile, they are working to actively destroy Microsoft's long establish revenue staple - Office. 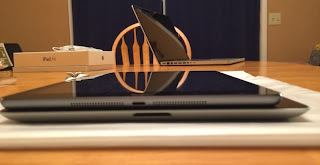 Only time will tell if mobile Office document editing will gain any real traction with prosumers or not. BlackBerry, the Canadian smartphone maker and services company, received an 11th hour save yesterday. In a sweeping move, the company announced that Mr. Thorsten Heins has stepped down as CEO and has given up his seat on the board. At the same time, Blackberry announced that the company was no longer for sale, and that it had entered into an agreement with Fairfax Financial Holdings Limited, one of the companies looking to take BlackBerry private, would invest $1 billion dollars into the company. In what is sure to set Crackberry users into a tailspin was the announcement that BlackBerry will continue to build BlackBerry 10 smartphones and not sell off that part of the business. BlackBerry also announced that Mr. Prem Watsa, Chairman and CEO of Fairfax, would become a new board member and that Mr. John Chen would be brought on as the new chairmen of the board and interim CEO. "[...]John S. Chen will be appointed Executive Chair of BlackBerry’s Board of Directors and, in that role, will be responsible for the strategic direction, strategic relationships and organizational goals of BlackBerry. Prem Watsa, Chairman and CEO of Fairfax, will be appointed Lead Director and Chair of the Compensation, Nomination and Governance Committee and Thorsten Heins and David Kerr intend to resign from the Board at closing." In addition, Mr. Heins will step down as Chief Executive Officer at closing and Mr. Chen will serve as Interim Chief Executive Officer pending completion of a search for a new Chief Executive Officer." With all the churn with the BlackBerry leadership, board member Barbara Stymiest was tapped to announced the shake up. Mr. Chen is no stranger to corporate turn arounds. The last time we saw him, he was CEO of Sybase, Inc, a database and corporate software company. When Sybase was purchased by SAP AG, in 2010, the company sold for $5.25 billion. In the interest of full disclosure, I earned my Sybase ASE and Rep Server merit badges as a DBA in the early 2000's and I though that Mr. Chen, hearing him speak at two of the Sybase's annual user conferences, did a good job of turning Sybase around leading up to it's sale to SAP. I'm interested in seeing what he can accomplish with BlackBerry. You can read the full press release on the BlackBerry website. Yesterday afternoon, Apple released updates to their Remote and AirPort Utility apps. 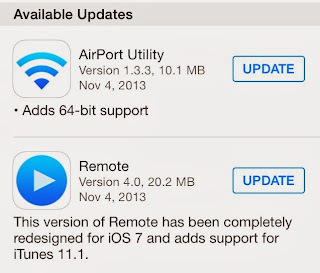 Evident from the app descriptions, the AirPort Utility did not receive an iOS 7-like remake. 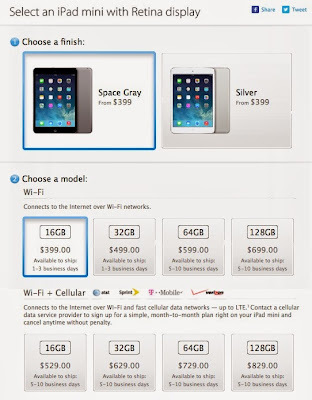 It still looks like it's older iOS 6 version of the add. The jump to 64-bit native code should make the app run smoothly on the new iPhone 5S, iPad Air, and the soon to be released, iPad mini with Retina Display. 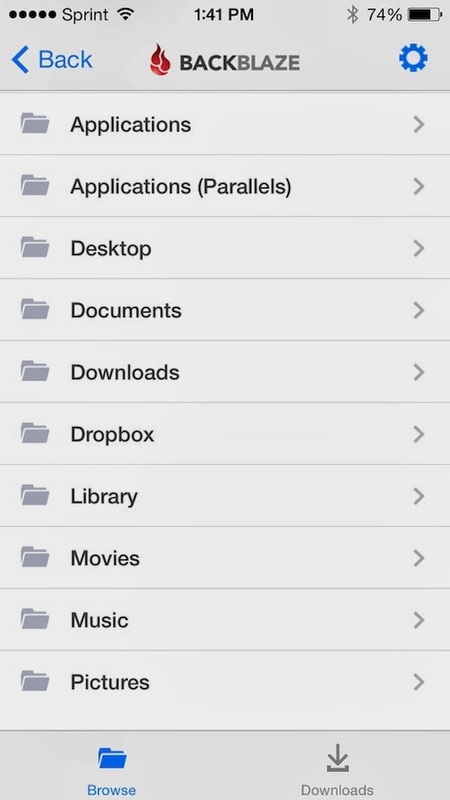 The Remote app, received a complete iOS 7 design make over. While the functionality of the software does not appear to have changed, the UI has. Remote now has the Help screen overlay that flies in when you tap the help question mark icon located at the top right of the screen. 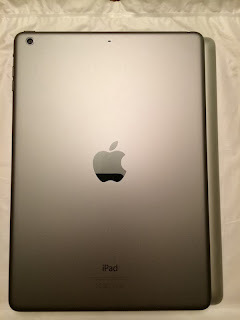 The Menu button now appears a circle icon with a text label "Menu" at the bottom center of the screen, with additional playback controls on either side. 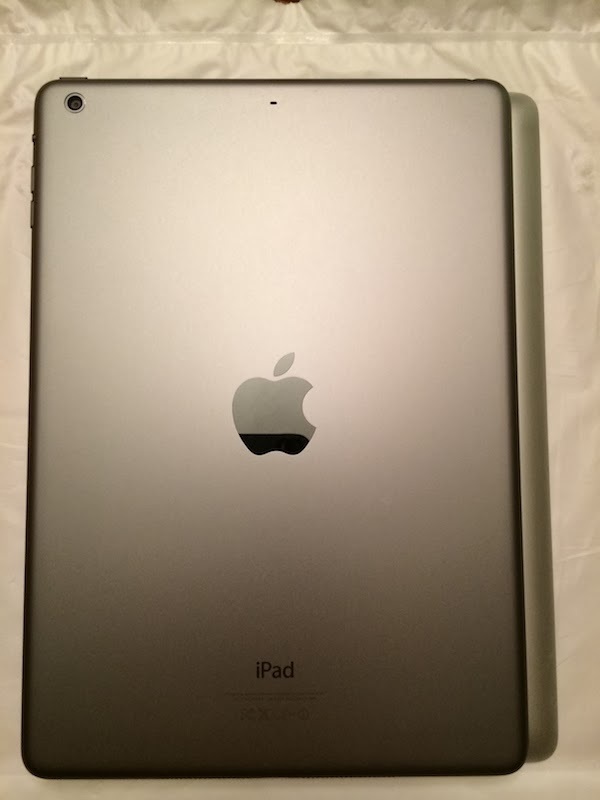 The large "track pad" area still dominates the majority of the screen, however, now appears as a frosted pane allowing you to "see" your wallpaper in typical iOS 7 blurred effect fashion. 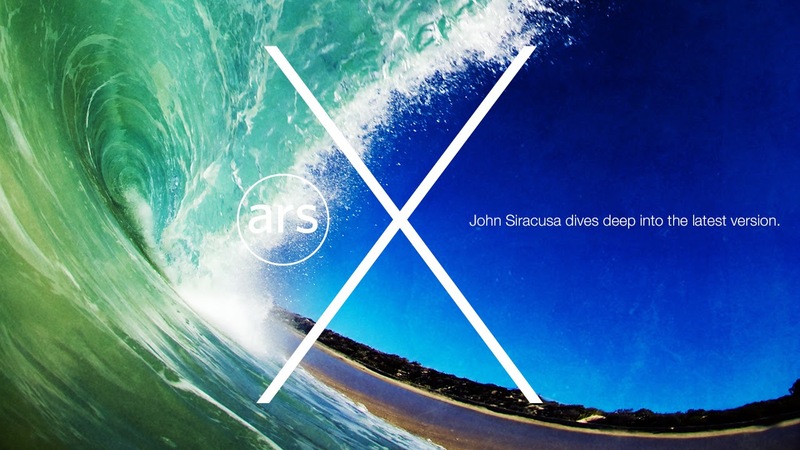 Both applications are available in the iTunes App Store for free. 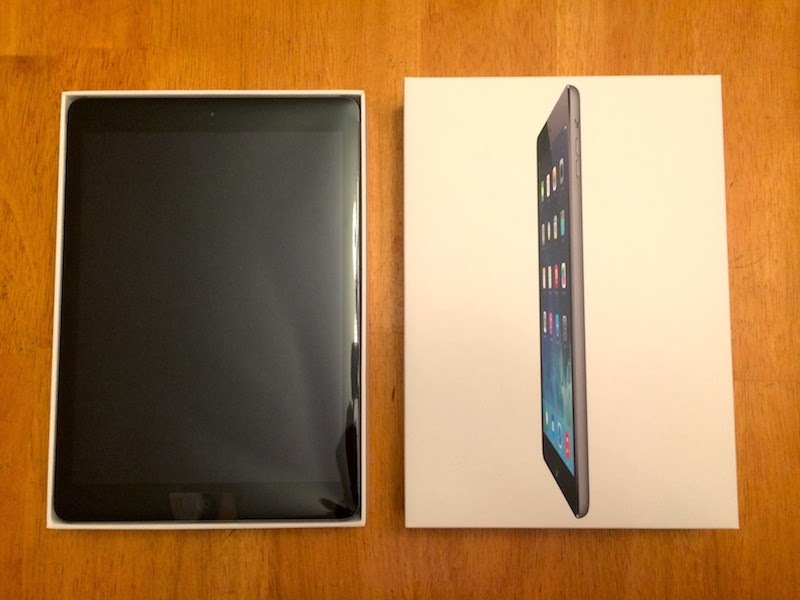 Here are some photos from my iPad Air unboxing and comparison with my iPad third-generation. I've been listening to the Accidental Tech Podcast and The Talk Show for sometime now and one recurring sponsor, Backblaze, caught my attention. 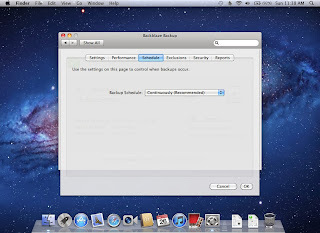 Backups are boring and nobody likes doing them. But, when disaster strikes, everyone wishes they had one. And that is where Backblaze comes in. 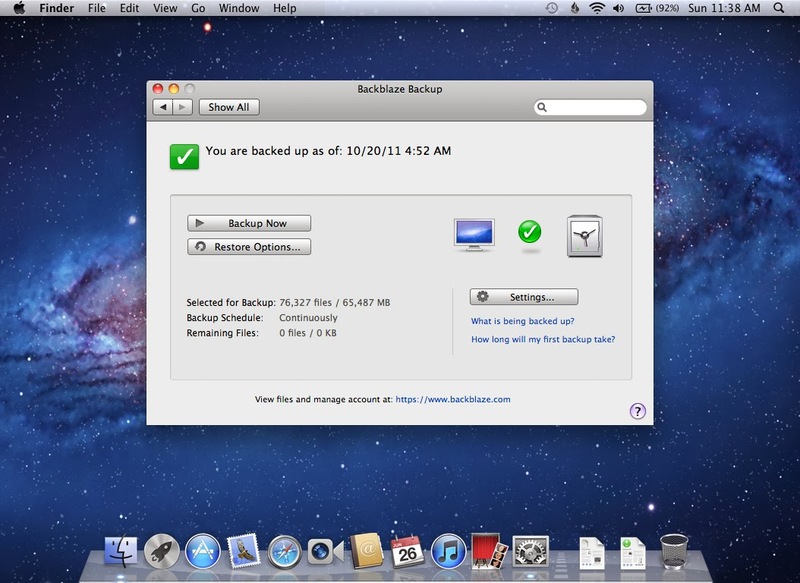 Backblaze, with it's great team of people, including some ex-Apple employees, is an elegant backup solution that takes minutes to setup and gives you the piece of mind that lets you sleep at night. Blackblaze works with Mac OS X 10.5 and later, Windows XP (32-bit), Windows Vista (32 & 64-bit), Windows 7 (32 & 64-bit), and Windows 8. You download and install a small client application on your computer. After the easy installation processes, it's time to configure your backup. 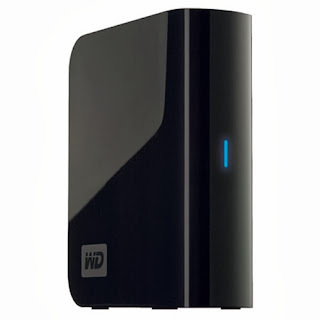 You simply select which hard drive(s) you want to back up, select any folders that you want to exclude from the backup, and set your backup schedule. 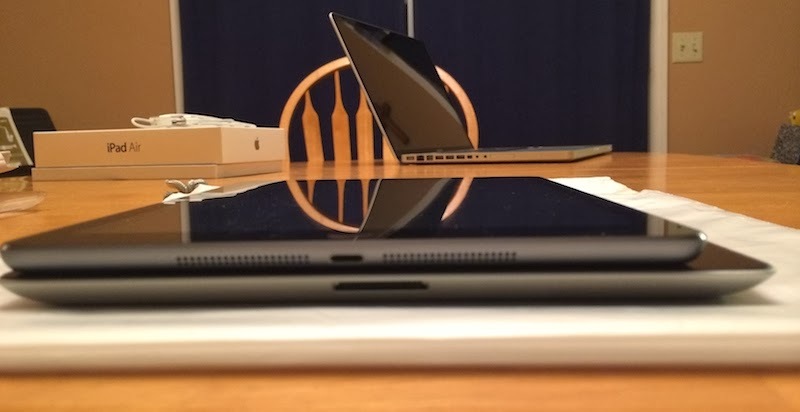 For me, I'm backing up my MacBook's main hard drive. I've excluded my iTunes movies folder because I can redownload most content from Apple. I want to make sure that I always have the most current version of my documents backed up all of the time, so I selected the default back up schedule of "Continuously (Recommended)". If your installation is anything like mine, you've spent about 10-15 minutes setting up the software. What I really liked about the client installation is that is a real native application for Mac OS X. It's not a warmed over Java application that runs equally poorly on all of the support platforms. I also appreciate that the developers have made this a "real" Mac application - one with the same look and feel that makes you believe that the application belongs on your computer. 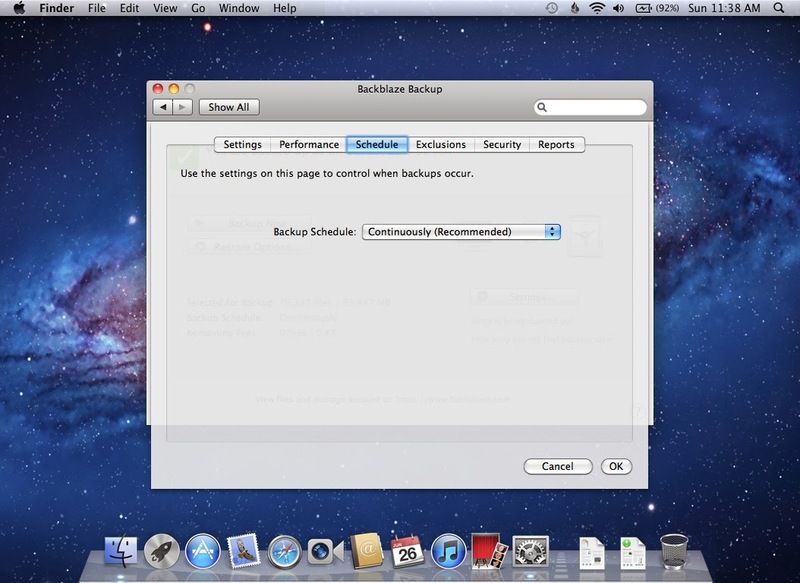 With Backblaze, backups really are a "no brainer" and once the software is setup and running, you can forget about it and just do what you do best. When disaster does strike, you won't have to worry about getting your data back because Backblaze makes recovery super easy. If you accidentally deleted a folder, overwrote that important document or photo, or had a hard drive crash? Getting your data back is easy. Login to the Backblaze website and select the computer that had the file. 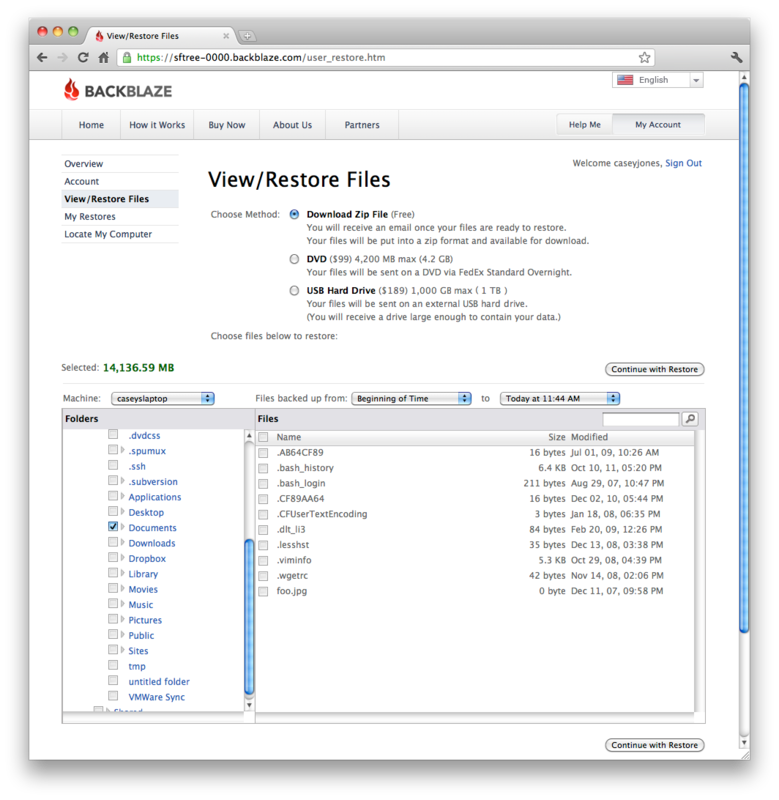 Backblaze gives you four options for recovering your data: Single file download, multi-document .zip file download, restored data on a USB flash drive, or restored data on a USB hard drive. 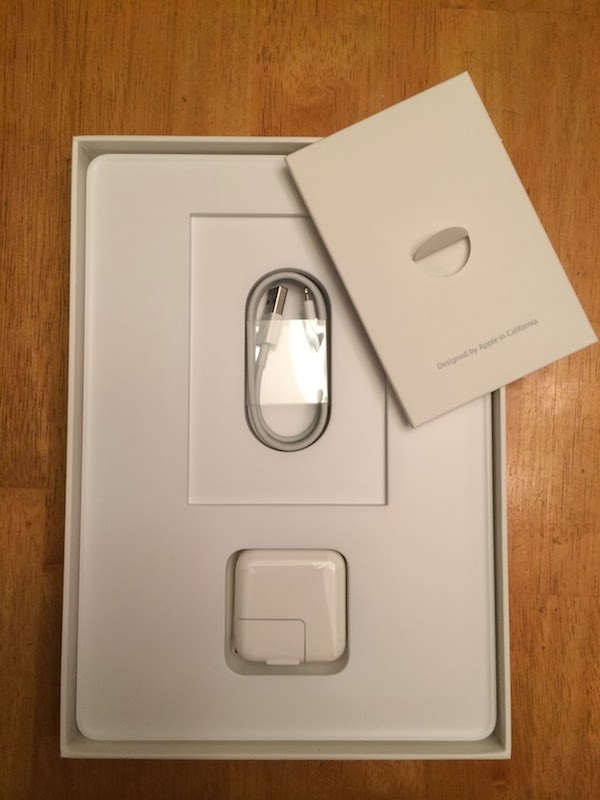 The first two options are free, the flash drive option is $99 with a 53GB file maximum, and the hard drive option costs $189 for up to 3TB of data. To help with your data recovery, the web UI data restore console allows you to navigate the folder structure on your hard drive or search for files/folders. Have an iPhone? Don't forget to download the Backblaze iOS app. 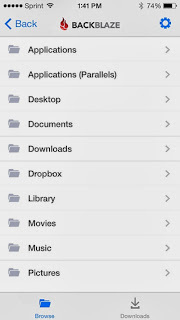 With it, you can download individual files right to your iOS device. That's really handy if you need to look up some information that is back at home or the office when you're out or at a customer site. It's aways a drag when a hard drive or computer dies. But there is nothing more infuriating when the data loss is due to a stolen computer. If you enable the feature, Backblaze has a Locate My Computer feature that can be used to locate your computer based on it's network connection. It's a nice little bonus at no additional charge. The personal plan that I selected is $5/month, but you can get down as low as $3.96/month if you pre-pay for two years of service up front. You can change your subscription plan at any time. Business plans are $50/year per computer. No body likes to run backups on their computer. 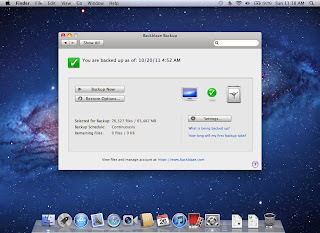 With Backblaze, backups are super simple and easy to setup. 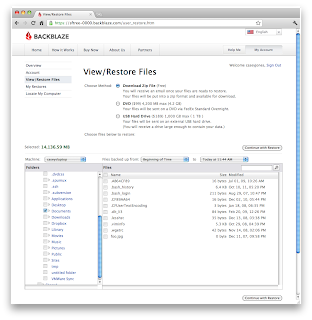 When you need to, Backblaze makes it easy to get your data back a hassle free process. If there is only one software service you buy this year, make it Backblaze. You'll be glad you did. Another Apple launch weekend is upon us and, after a long mental debate with myself about whether or not to get a new Apple iPad Air, I did make the decision to buy one, upgrading from my iPad with Retina Display (third generation). 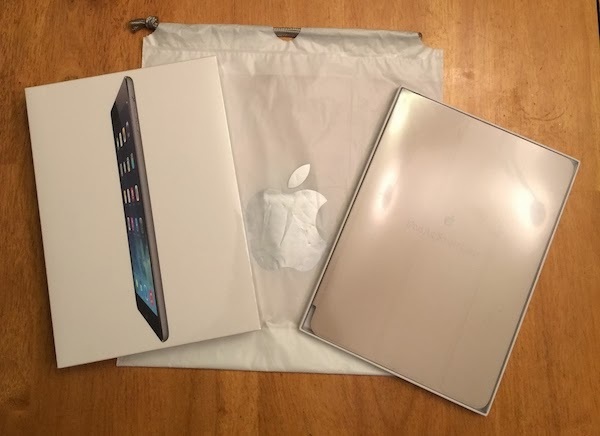 I chose to get my new iPad Air at the New Haven Apple Store. I wasn't disappointed. The Apple Store had ample stock of the 32GB Space Grey Wi-Fi iPad Air. 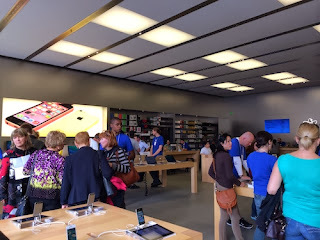 Stacey, sales associate who helped me, what polite, asked if I had any questions or if I needed help using iCloud to move my data from my iPad 3 to my new iPad. 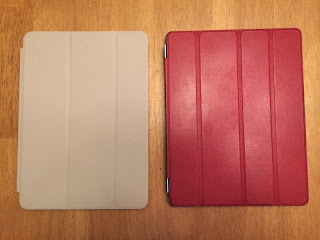 A major factor in my decision to purchase the new iPad Air was the weight of the unit as compared to my iPad 3 without its plastic back shell and Smart Cover on. 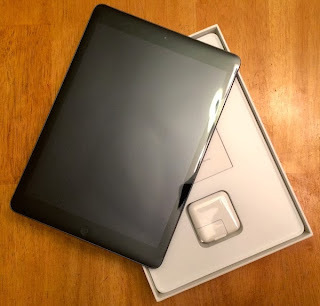 Being able to walk in and play with the new iPad Air without all of the security brackets and thick security cables was a major plus for me. 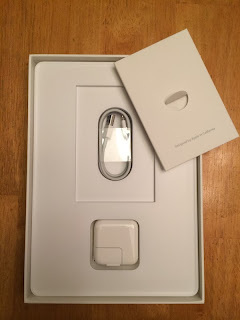 Another major benefit of shopping at the Apple Store rather than a big box store like Best Buy, which I did visit on Friday afternoon, was not only being virtually guaranteed to get the device I wanted, but also having my pick of new Apple accessories too. 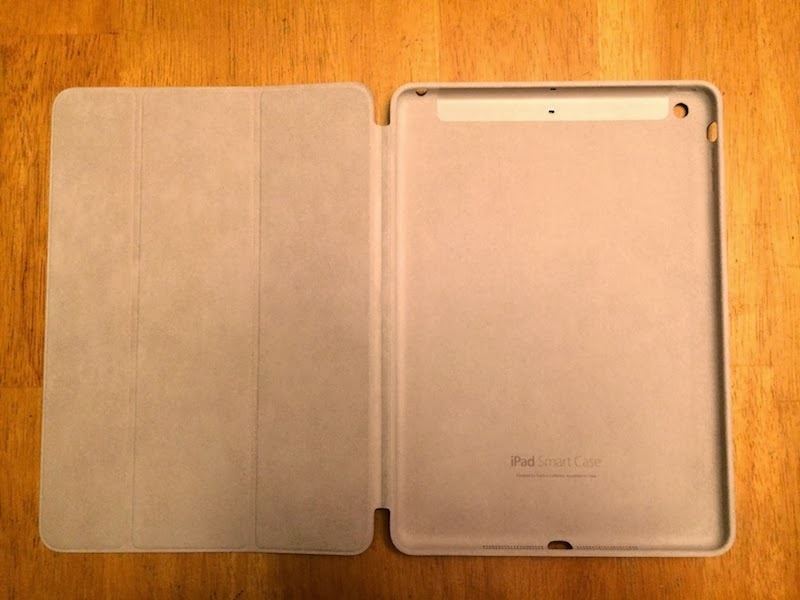 In addition to buying the iPad Air, I also picked up a beige Apple Smart Case. 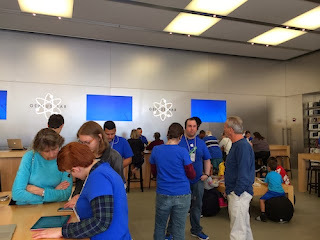 I've become a bit of a frequent visitor to this Apple Store over the last few weeks, and the store was busy, but not mobbed. Over all, it was a great shopping experience and I was in and out in 20 minutes.